The Abbott's Magic Company, the Colon Lions Club and the Colon Chamber of Commerce are proud to celebrate the Annual Abbott's Magic Get-Together. The dates are August 7th, 8th, 9th, and 10th of 2019. Once again, magicians from all over the world will migrate to Colon, Michigan, the Magic Capital of the World, to be a part of this family oriented event. Tents and campers will magically pop up everywhere to swell this tiny little village until it appears there is no room for even one more person. Everyone scampers to be a part of this fun convention which was named the #1 Unique Convention in the Detroit Free Press. Magicians will be performing in the streets, restaurants and bars. The annual craft fair will take place on Friday and Saturday. Visit the Colon Historical Museum for a special Magic adventure or take a cemetery tour where many famous and not so famous magicians have chose to perform their final act and become a permanent part of the magical history of Colon. Each of the four days ends with a world class magic and variety show held in the air-conditioned Colon High School Auditorium. These are not your average birthday party magicians and each show is different, with comedy, large illusions, variety acts, and much more. 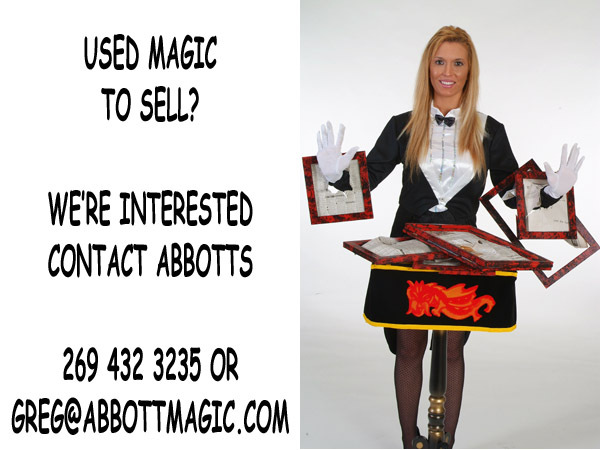 For more information, contact the Abbott's Magic Company, 124 S. St. Joseph St., Colon, MI 49040 or at 269 - 432-3235. Or visit us online at www.magicgettogether.com where you can get more information on the performers or order tickets. Performers include Stephen Bargatze, Martin Cox, Will Fern, Michael Trixx, John Ferrentino, Christian & Katalina, Michael Vincent, Daniel Roy, Jason Michaels, BJ Mallen, John Sturk (Street Performer Coordinator), George Schindler (Vent O Rama), Jerry Burgess (Magic Ministers), and Al the Only (Graveyard Tour and Golf Coordinator) and much more.